Recently, OpenGov had a fascinating, wide-ranging discussion on Internet access, the digital economy, cybersecurity and cloud computing with Mr. Rajnesh Singh, Regional Director of the Asia-Pacific Regional Bureau at the Internet Society. 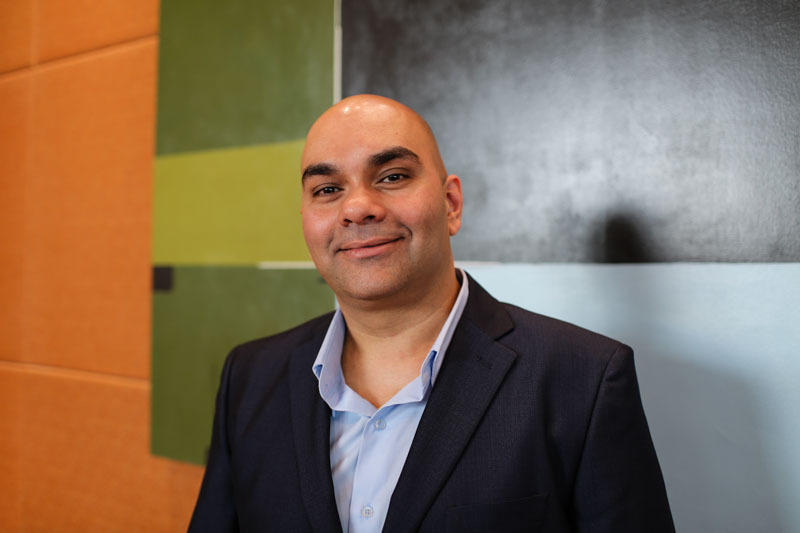 Mr. Singh oversees projects, initiatives and activities across the Internet Society&apos;s functional and programmatic areas in the Asia and Pacific region, including Public Policy, Capacity Building and Internet Standards and Technology. The Internet Society was established as a non-profit organisation in 1992 by Vint Cerf and Bob Kahn, two of the “Fathers of the Internet”. Its initial focus was on the technical arena. The Internet Society is the parent corporation for the Internet Engineering Task Force (IETF), the body that makes all the Internet standards. As the Internet has evolved over the last 25 years, the Internet Society has also evolved as an organisation. Today, the Internet Society engages in a wide spectrum of Internet issues, including policy, governance, technology, and development. “The first Internet connections for many of the developing countries were done through assistance from the Internet Society. That doesn’t mean we built it all or paid for it. But we provided them training, helped with the early system design etc., so that other people could go and do what needed to be done to build those systems,” Mr. Singh said. The Internet Society continues to provide that kind of assistance in Asia and Africa, as well as in Latin America, wherever there is a need. That involves developing country engineers on technical issues, training them on current trends are, risk mitigation. “The Internet connects everyone, everywhere throughout the world. And any time you start locking things down and fragmenting the Internet, there are implications for the versatility and utility of the Internet,” Mr. Singh elaborated. Recently, the Internet Society initiated a conversation on digital accessibility with the government of Pakistan, while they were developing a national ICT policy. Mr. Singh explained that the challenges for people with special needs arise not because vendors want to put in limitations, but often they are not aware of what they need to do. In fact, from a commercial perspective, people who have those needs might be happy to spend the money to make their lives easier. A series of workshops was organised around the country. Now, a draft has been released of the ICT policy and there is an entire section for catering to people with disabilities (PWDs). Since then, the regulator in Pakistan, in partnership with many other organisations including the Internet Society, launched a national level award for developing mobile applications, targeted at PWDs. To answer our question on the problems with Internet access in general, Mr. Singh started with an example of another recent government intervention done by the Internet Society. “Also, the international capacity links cost money. This is unnecessary data that you are sending off, so that your competitor can download it again. You are paying and he’s paying, as part of his data capacity load he’s buying on the cable. What an Internet exchange point does is, all of those guys connect to a switch within the country and instead of all this going off somewhere and coming back in again, it just routes locally,” he added. Mr. Singh explained that fundamentally it’s very simple thing to do. One switch, one box with, four cables attached to it and a fifth that connects to the Internet. But it is a rarity is in the developing world. Maybe because of competitive pressures, the service providers don’t look at the bigger picture where they can save on capacity and money and provide better service to customers. There is another problem, one of affordability. In a country like India, relatively speaking, data is very cheap. But it is not cheap for someone in the hinterlands of Bihar or Uttar Pradesh. A person there is spending a much larger proportion of his/ her income on the same data plan, which may amount to a negligible cost for a middle-class salaried individual in the urban centres. There’s another facet to the affordability problem. Some operators to this day go for the big profit margins. In more mature markets like Singapore, telecom operators are changing their business models. They are diversifying their business, going into content and other digital services. But in the developing world, some companies continue to have an old mindset, thinking of themselves as the telephone or cable service provider. At the same time, it is important to keep in mind that the certain costs for the operators are fixed, such as the costs of laying fibre cables in the ground. The effective cost turns out to be the same across say India and Singapore. But 100 Dollars in Singapore is very different from its equivalent in India. In some instances, operators might end up making decisions on the technology they use, committing to an apparently promising technology, which turns out to be a market failure. Mr. Singh gave the example of WiMAX. Many operators invested in expensive WiMAX technologies, but today LTE offers much better speeds at a significantly lower price. “It is a multi-fold problem. But if you go down to the crux of the issue, right now affordability is a major issue, and the capacity of networks. In Singapore, we have Gigabit links to our homes. But some countries don’t have a Gigabit connection to the whole country. So, the experience we have playing online games or using YouTube or Netflix, this same experience is not possible in a large part of the world,” Mr. Singh summarised. The digital economy poses a challenge for most countries from a regulatory and policy perspective. “Everyone has an aspiration to be a Singapore, to be a Korea or a Japan. They want everything digital, everything connected. Everything is ‘e-‘ something. Not realising that some fundamental steps have to be taken to get there. You can have the greatest, biggest, best systems in the world. But if you don’t have reliable power supply, nothing’s going to work. That’s a lot of Asia, large parts of south Asia and some parts of south-east Asia,” Mr. Singh said. There is also the affordability issue in relation to Internet access that Mr. Singh had talked about earlier. Then there is the reliability of the network issue. Often the network becomes unreliable as soon as you move out of urban centres in developing countries. Digital payments are essential to a digital economy. India is attempting to move towards a cashless economy. “How many people in India have a credit card or a debit card. You can only do a digital payment, if you have those or an e-wallet of some sort. So, if you don’t have that payment infrastructure in place, you can’t run a digital economy,” Mr. Singh said. Related to the payments issue, is the issue of how much does it cost to make the payment. Card providers take a percentage of each transaction. In the Pacific Islands, in some instances, 20-25% of the transaction cost can go to transaction fees and charges – particularly for low value transactions. “My margin is only 10%, you want 25%! I would rather not sell this online. Because I cannot afford to sell it. So, the payment gateways in the developing world are not there, particularly when it comes to micropayments. Larger value transactions maybe you can get by with. But when you want to pay 10 dollars, 20 dollars, small payments for small amounts of goods, it becomes problematic,” said Mr. Singh. Finally, there’s the policy framework around things like data protection, security and privacy. In order to do a digital transaction data is created, data is transmitted, stored, analysed. If you are using a third-party provider from a foreign country, that could mean your citizens’ data is sitting outside your borders. Governments have to consider if that is that okay. They have to deal with the jurisdiction, the legal framework for dealing with companies that don’t exist within the country’s own borders. In the absence of a clearly defined data protection framework, unambiguously identifying where liabilities lie, in the event of something going wrong, vendors may not want to come into the market. In part 2 of the interview, Mr. Singh talks about cybersecurity and cloud computing.